We are writing to express our deep appreciation to the many organizations and individuals who contributed to the successful response to the Peak 2 fire, which ignited last month just a few miles from our neighborhoods in the Breckenridge and Frisco areas. Within mere hours of the fire’s initial report, firefighting crews and aircraft were actively attacking the blaze, helping to prevent its spread toward the Peak 7 neighborhood and other residential areas. Shortly thereafter, the Rocky Mountain Type 1 Incident Management Team — which has hundreds of years of combined experience responding to events like this — arrived to capably manage the response to the Peak 2 fire. Meanwhile, firefighters from within and outside our community vigilantly patrolled our streets, keeping watch for structure fires that might start from drifting embers. In all, more than 400 responders came to our aid, and we are immensely grateful. We offer our sincere thanks to our many dedicated and talented partners and county personnel, who came together in the face of looming disaster to protect our community. Thank you to the U.S. Forest Service, Colorado Division of Fire Prevention and Control, town of Breckenridge, Summit County Sheriff’s Office, Lake Dillon Fire-Rescue, Red, White and Blue Fire, Copper Mountain Fire, Summit School District, American Red Cross, Colorado Mountain College, Red Tail Ranch, Summit County Elks Lodge, Denver Water, Summit County 911 Center, Summit County Office of Emergency Management and Summit County Public Health. We also thank our community at large, who let that great Summit County spirit shine, as they bravely evacuated their homes, offered meals and places to stay to evacuated families, donated water and supplies, and provided support in myriad other ways. We also wish to recognize all those in our community who contribute year-round to our preparedness for events like the Peak 2 fire. Successful emergency response requires intensive coordination among many different organizations that each house a wide variety of capabilities; such coordination would not be possible without extensive planning, training, exercises and public education to prepare us for the worst. With the immediate threat behind us, it’s important for each of us to harness the learning opportunities afforded by the Peak 2 fire. We should understand how to properly extinguish a campfire, create defensible space around our homes and practice evacuation plans with our loved ones, to name a few key examples. 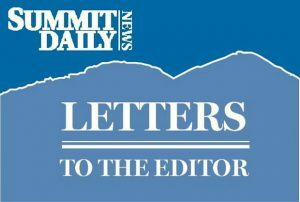 Wildfire may always be Summit County’s greatest hazard. But we can be diligent in putting our best foot forward to mitigate risk and be even better prepared for future emergencies.